In the mid-19th century this was a brick­making area and Kensington Potteries was the largest employer. Gypsies lived here seasonally. From the 1860s Notting Dale was built up with cheap housing and the new residents scraped a living by taking in laundry or keeping pigs. The area had a large Irish population and the Roman Catholic church of St Francis of Assisi was built on Pottery Lane in 1860. The archi­tects were Henry Clutton and his pupil John Bentley, who went on to design Westminster Cathedral. The Anglo-Catholic church of St Clement was consec­rated in 1867. It was built from the personal resources of its first vicar, Arthur Dalgarno Robinson, who worked without pay for many years. Designed by JP St Aubyn, the church stands on Treadgold Street. Having started badly, condi­tions in Notting Dale soon got worse. In 1893 the Daily News reckoned this was the most “hopelessly degraded” place in London. The social reformer and statist­ician Charles Booth charted terrible hardship just a few hundred yards west of the wealth that radiated outwards from Lansdowne Crescent. 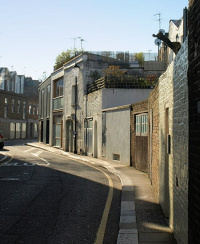 Some of London’s first housing associ­ations began their work here and Octavia Hill took over the management of five run-down houses in St Katherine’s Road. But despite the hard work and good inten­tions of many helpers and benefactors the under­lying malaise persisted for decades. Notting Dale’s first Spanish immig­rants were refugees from their country’s civil war in the 1930s, while Caribbeans came soon after the Empire Windrush docked in 1948. Council flats replaced many of the slums from the 1950s onwards, notably in the form of Henry Dickens Court in 1953 and high-density Lancaster West estate in the late 1960s and early 1970s. Many Victorian properties in Notting Dale have been beauti­fully restored, so that parts of the locality now present an upmarket aspect. But most local residents don’t own houses like these: they rent flats in municipally built blocks that are nowadays managed by a tenant management organ­isation or housing associ­ation – including Octavia Housing. On the night of 14 June 2017 the Lancaster West estate’s Grenfell Tower went up in flames. Seventy people died in the fire, while a baby was stillborn after it and a 74-year-old woman who was rescued from the 19th floor died in hospital on 29 January 2018. The fatal rapidity with which the fire spread was widely blamed on the neglectful indif­ference of the Kensington and Chelsea Tenant Management Organisation, which was entrusted to maintain the estate, and on the Royal Borough of Kensington and Chelsea Council, which was supposed to oversee the work of the KCTMO. Shown in the photo at the top, shrouded in white plastic sheeting, the burnt-out shell of the tower is likely to be replaced by a permanent memorial to the victims of the fire. The footballer Les Ferdinand grew up on the Lancaster West estate. 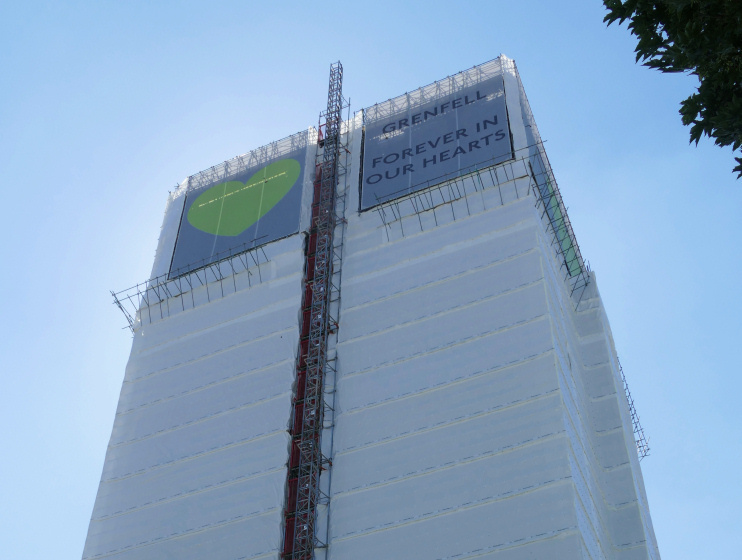 * The picture of Grenfell Tower at the top of this page is cropped from an original photograph, copyright Loz Pycock, at Flickr. The picture of Pottery Lane is adapted from an original photograph, copyright Derek Harper, at Geograph Britain and Ireland. Both images are made available under the Attribution-ShareAlike 2.0 Generic Licence. Any subsequent reuse is freely permitted under the terms of that licence.